NEW YORK – I think I’m going to sleep for a week straight after this season, which clearly took years off my life. A part of me is glad this game is over because that was a brutal two week wait. This is not my ‘Game Notes’ article, readers can come back in the morning for that article. This quick story is here simply to let our readers know what happened in the game. I plan on getting some sleep tonight but you never know where the night can take you when your team wins the Super Bowl. It wouldn’t be the first time either. We knew this was going to be a major battle between two good teams. This game did not disappoint and had my heart in my throat the entire time. Including the 4th quarter comeback. Seeing the team and coaches celebrate up on the stage and kissing the Lombardi trophy is something that has me smiling from ear to ear. I am so happy for this team because I know exactly what they had to endure this season with all of the injuries and the slump. I’m very proud of the Giants organization and I thank them as a fan for winning two Super Bowls over the past four years. What a wonderful gift you have given the true blue fans and some fans never get to experience this kind of joy at all. The New York Giants are Super Bowl XLVI Champions, it feels so good to say that. Fans can buy official New York Giants Super Bowl Champion gear from the banners on the right. Be sure to come back tomorrow and check out my ‘Game Notes’ article breaking everything down. I don’t know about you but I’m going to go celebrate for the rest of tonight! Congrats to the Super Bowl Champion New York Giants! Congrats to QB Eli Manning for winning his second Super Bowl MVP Award and Congrats to the fans who stuck by the team all season long and got to watch them win the Super Bowl tonight! How will you remember the New York Giants 2011 NFL season? 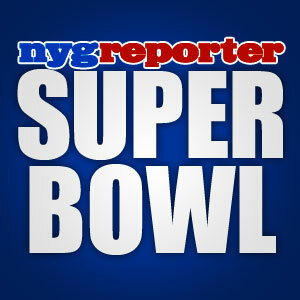 NEW YORK – Super Bowl Sunday has arrived fans and we are about five hours away from kickoff now. There is an electricity in the air today and the internet is exploding with news and content. It has been a long two weeks but we are mere hours away from finding out who will be Super Bowl XLVI Champions! It’s exciting and I’m eager to get the game started. I am still extremely confident the Giants are going to beat the Patriots. Call it a premonition or whatever you like but I think the G-men get another ring by midnight. Fans who want to get some really good info on the game should check out twitter and build a solid timeline of friends and contacts. Once you get into a groove with those guys it is actually a lot of fun. We’ve stuck together the entire season and should be given a Giants Super Bowl ring for our loyalty in the face of adversity and for all of the free social media work we do to keep Giants fans sane. But first the Giants have to win the ring. Expect the unexpected and be on your toes the entire game. Patriots head coach Bill Belichick is sneaky and not above using high school tactics to gain a first down. Tom Brady is another shifty eyed sneak to watch. There is nothing left to say or analyze and no trash talk left to bark. The Giants and Patriots are going to play a football game in a few hours that will determine who is the best team in the NFL this year. One last time, my final score prediction for this game is a Giants win 38-27. How will you spend your night watching the Super Bowl? RD – nygreporter.com – Good Luck Giants! NEW YORK – At the request of one our readers named Bobby G, I am going to write an original Super Bowl war poem for the Giants. This will be my third or fourth time doing this, usually only on special occasions. Some say it is good luck because it confirms that you have fought out the battle in your mind and came to such a conclusion logically. For which, you could not simply arrive at without careful consideration. I’m sure the Giants players have fought this battle in their minds over and over already. It is wise to do such a thing before a fight and it will help you to anticipate your opponents moves. I’m certain the Giants players are not messing around with this opportunity for greatness and will have a hard time sleeping a wink tonight. The dull anticipation must be excruciating. I am not a Samurai Warrior but I do think they are awesome. Hence, without any further agonizing waiting, I give you, the Super Bowl Samurai War Poem. Enjoy! Super Bowl XLVI Samurai War Poem. But the two brothers couldn’t sleep. Because Manning is the Giant, and Brady is the beanstalk. Brady said he already knew, that Big Blue, would triumph once more. This man was named Coughlin, and his Captain stood tall. Your head is just spinning, and your thinking, how can this be? The last thing Brady remembered, was Eli going to Disney. The Giants are going to win, and leave us far behind. Do You Believe brothers and sisters? Because me, I’m all in. OK let me have it. What did you think of the Giants poem for Super Bowl XLVI? On a scale from 1-10, with 1 being the worst and 10 being the best. And by the way, I know this isn’t a graphic war poem like it could have been but we have to remember that kids read these article too. 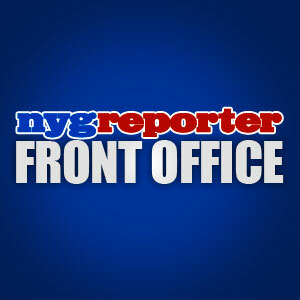 RD – nygreporter – Good Luck Giants! side note: I would like to request someone from the Wounded Warrior Project contact me at nygreporter@yahoo.com to discuss adding a program to your tool box called the War Poem Project if it doesn’t already exist. I think it would be beneficially to the war veterans and give them an incredible outlet to be creative and imaginative. I think we could get some terrific sponsors to put on shows and have them directly see the results first hand. I’m sure that by the time you guys read this all of the homework will already be completed but this simply me writing at a spontaneous moment and sharing it with my readers. NEW YORK – The New York Giants are going to play a very important game tomorrow and they know it. All they need to do is remain confident and stay focused on the game. Win the game. Focus on making yourself play on a consistent level the entire game and do your job. Cover your assignments and sack Patriots QB Tom Brady often. Back in the old days, a man would ride into town on a horse pulled carriage with a sign on the side that read ‘Magic Elixir Cures All That Ails’. This man would “park” his carriage somewhere in town and pull out his soapbox to stand high on top of while he sold his soul for a satchel of silver. This man was a dream killer and used hope to blind the faithful. Selling them empty promises filled with poison, he calls himself Professor Belichick and boy does he have a monkey named Manning on his back. The only difference between this ‘false prophet’ man and how the New England Patriots media machine sells confidence, is the Patriots use a satellite orbiting the earth from outer space as their soapbox in the year 2012. The truth is the New England Patriots look rattled to me and nervous. They look concerned and blinded by their desire to avenge the most devastating loss in New England Patriots history, when the New York Giants beat the undefeated Patriots (18-1) in Super Bowl XLII. The greatest upset in Super Bowl history with the greatest play in Super Bowl history. That is something that will never go away and will be around for centuries. There are Giants fans right now, carving Super Bowl XLII Champions and the 18-1 story into marble and stone somewhere in the tri-state area. Those are things that will be around forever, yes Andre 3K, I mean, forever ever. And I too am sorry Miss Jackson. I am for real. If the Giants beat the Patriots in the big game for a second time, the G-Men go down in history as beating them twice in four years. If the Patriots were somehow lucky enough to win (knock on wood they don’t win), history wouldn’t say they avenged the worst loss in team history, football history will say the Patriots evened up the score with New York. I prefer to win this game on Sunday and ponder the future on Monday. Giants Head Coach Tom Coughlin has really done a great job with this team and it’s clear that he has never stopped believing in them. I am proud to include myself among the few who never stopped believing in this team and I can be seen from time to time asking fans “Do You Believe?” on twitter during games. I’m all in and ready to get this game started. Being this happy all of the time is exhausting and my face hurts from smiling all of the time when checking out the Super Bowl XLVI coverage. However, I am getting concerned that my head might explode from the information overload that has occurred these past two weeks. Be sure to check out our New York Giants articles the entire offseason, draft coverage, fantasy football coverage and news about the upcoming nygreporter 2 year anniversary on March 6, 2012 will follow the Super Bowl coverage. Since there is a retractable roof at Lucas Oil stadium, it won’t be necessary to check the weather reports. The roof can be closed in 9 minutes if need be and at 4.5 acres, it is the largest open space and retractable roof in the NFL. Despite all of the hype surrounding this game, which team is physically more prepared to win Super Bowl XLVI? NEW YORK – The media coverage for this Super Bowl has been good and by that I mean, NFL fans have been saturated with everything New York Giants for days now. It has been a lot of fun watching the interviews and press conferences. The Giants seem calm and focused and I really believe they are going to win another ring on Sunday (Giants win 38-27). I guess this would be as good a time as any to say “Thank God it’s Friday” and the weekend officially begins tonight. I am ready to get this game started because with the bye week in between, it seems like it has taken forever to arrive. Have no fear my fellow fans, Super Bowl weekend has arrived! Fans who were able to check out the NFL Experience this year probably attended the best one ever. They continue to add things to that wonderful part of the Super Bowl entertainment activities for fans. I have attended 2 NFL Experiences (Miami, Tampa Bay) in my life so far and they were both a lot of fun. I highly recommend this for Dads and Sons and Uncles and the guys to attend and enjoy. They have lots of cool football activities for the kids and tons of video games and history areas to look at including the Lombardi trophy itself and all of the Super Bowl rings ever won thus far. There are also players all over the place with autograph booths set up and an event schedule that tells you who will be where and when. Everyone keeps talking about how playing in Indy helps the Giants out but I think it might actually help the Patriots out more. Think about this for a minute, who has played more games there and feels more comfortable? It has to be the Patriots and with any other team that might make the Patriots look favorable but this is the ‘Road Warrior’ New York Giants where none of that applies. The Giants are simply awesome on the road (hence the Road Warriors nickname) and relish being called underdogs. So in a strange way, the worst thing you can do to them is compliment them. There is nothing that is going to rattle this team and the players will need to manage each other and stay cool until the game is over. Once the game is over, you can celebrate for a month if you want. Win the ring before you plan parties or talk about partying. Life comes down to a few moments and this is one of them. The fans are all in, are you? Who has the edge playing at Lucas Oil stadium in Indianapolis?